Why Invest in ICICI Debt Mutual Funds? How to Invest in ICICI Mutual Fund Online? icici mutual fund aims to generate regular income to the investors through investments in a range of debt and money market instruments. This is suited for the investors who want to optimize current income by taking a low to moderate level of risk. Investors who want to achieve their short to mid term Financial goals, then Debt fund can be a good option. 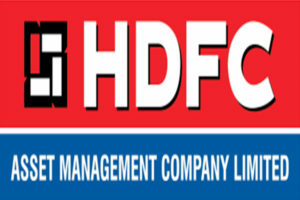 Recommended debt funds for this plan are Liquid Funds, ultra short term debt funds and short term debt funds. These funds are liquid in nature, which means that an investor can redeem their invested amount any time. Investors planning to invest in debt funds can choose from the pre-listed top 5 Best Debt Funds by ICICI Mutual Fund. These funds are shortlisted by undertaking certain parameters like AUM, NAV, past performances, the average maturity of the portfolio, etc. Debt funds such as liquid funds are a great option for low-risk investors invest for a short duration and earn better returns than bank saving accounts. To generate income through investments in a range of debt and money market instruments of various maturities with a view to maximising income while maintaining the optimum balance of yield, safety and liquidity. ICICI Prudential Long Term Plan is a Debt - Dynamic Bond fund was launched on 20 Jan 10. It is a fund with Moderate risk and has given a CAGR/Annualized return of 9.5% since its launch. Ranked 1 in Dynamic Bond category. Return for 2018 was 6.2% , 2017 was 5.1% and 2016 was 16.9% . expected amount after 3 Years is ₹212,284. Manish Banthia 28 Sep 12 6.51 Yr.
Anuj Tagra 15 Jan 15 4.21 Yr.
ICICI Prudential Ultra Short Term Plan is an open-ended income fund that intends to generate regular income through investments in a basket of debt and money market instruments of very short maturities with a view to providing reasonable returns, while maintaining an optimum balance of safety, liquidity and yield. However, there can be no assurance that the investment objective of the scheme will be realized. ICICI Prudential Corporate Bond Fund is a Debt - Corporate Bond fund was launched on 11 Aug 09. It is a fund with Moderately Low risk and has given a CAGR/Annualized return of 6.9% since its launch. Ranked 7 in Corporate Bond category. Return for 2018 was 6.4% , 2017 was 6.3% and 2016 was 9.8% . Rahul Goswami 16 Oct 17 1.46 Yr.
Rohan Maru 15 Jan 15 4.21 Yr.
Chandni Gupta 3 Aug 16 2.66 Yr.
John Deere Financial India Pvt. Ltd.
To generate income through investment in Gilts of various maturities. ICICI Prudential Gilt Fund is a Debt - Government Bond fund was launched on 19 Aug 99. It is a fund with Moderate risk and has given a CAGR/Annualized return of 9.9% since its launch. Ranked 5 in Government Bond category. Return for 2018 was 6.8% , 2017 was 2.1% and 2016 was 18.2% . expected amount after 3 Years is ₹209,201. Rahul Goswami 27 Sep 12 6.51 Yr.
Anuj Tagra 30 Oct 13 5.42 Yr.
To generate income through investments in a range of debt instruments and money market instruments of various maturities with a view to maximizing income while maintaining the optimum balance of yield, safety and liquidity. ICICI Prudential Savings Fund is a Debt - Low Duration fund was launched on 27 Sep 02. It is a fund with Moderately Low risk and has given a CAGR/Annualized return of 8% since its launch. Ranked 11 in Low Duration category. Return for 2018 was 7.3% , 2017 was 7.1% and 2016 was 9.1% . Rahul Goswami 27 Sep 12 6.35 Yr.
Rohan Maru 19 Sep 13 5.37 Yr.
ICICI Prudential Short Term Gilt Fund is a Debt - Government Bond fund was launched on 19 Aug 99. It is a fund with Moderate risk and has given a CAGR/Annualized return of 8.2% since its launch. Ranked 13 in Government Bond category. .
expected amount after 3 Years is ₹203,125. ICICI Prudential Bond Fund is a Debt - Medium to Long term fund was launched on 18 Aug 08. It is a fund with Moderate risk and has given a CAGR/Annualized return of 9.3% since its launch. Ranked 19 in Medium to Long term category. Return for 2018 was 4.6% , 2017 was 5.3% and 2016 was 11.3% . Manish Banthia 19 Sep 13 5.53 Yr.
☆☆☆☆☆ Rated 5, based on 1 reviews.